Once your child reaches the age of three the services they have been receiving will change from Part C (early intervention) to Part B (school districts) of the IDEA 2004. The school district in which you live will begin providing services to your child. Services will look different for each child and must meet their individual needs. Eligible children are entitled to a free appropriate public education in the least restrictive environment. This means that the required services are to be provided in the least restrictive setting at no cost to parents. IDEA states that parents are equal members the IEP team. This is because parents know their child best and will always be a part of their child’s life, unlike professionals who generally interact with a child for a year or two. IDEA recognizes that children are most successful when parents and professionals form partnerships to identify the strengths, needs, and developmental and educational goals for children with disabilities. The IEP team will identify the strengths, needs, and developmental and educational goals for your child and build the IEP based on these areas. While there are many factors that go into a good educational program, having a team of educators that believe in the abilities of the student, have open minds and are willing to “think outside of the typical education box” are key. While there are many commonalities in learning styles of students with Down syndrome, there are also unique differences. What works for one student may not work for another. The willingness to try different strategies that can engage and educate the student may take time and effort, but it is worth it! An IEP is a written statement for each child with a disability that is developed, reviewed, and revised. It is the road map that describes your student, where they need to go, and how they are going to get there. It must include a statement of your child’s present levels of academic achievement and functional performance, a statement of measurable annual goals, a description of how and when your child’s progress toward meeting the annual goals will be measured, a statement of the special education and related services and supplementary aides and services, among other important details. Your student’s IEP is developed by an IEP team, which includes a variety of educators and therapists dependent upon the his/her unique needs. You, as parents, are also equal members of the IEP team and have the right as well as the responsibility of advocating for your child. There are due process procedures in place should the team members disagree with a service and/or placement recommendation. There are a variety of ways and classroom settings an education program (IEP) can be implemented. Some students will be included in their neighborhoods general education classes, while others may require a specialized curriculum provided in a special education classroom for a portion or all of their day. Supplemental aids or services are provided when necessary to support the student regardless of which classroom setting they are placed. In a growing number of schools across the United States, it is now possible to walk into elementary, middle and secondary classrooms and observe students with Down syndrome and other cognitive and physical disabilities learning with their nondisabled peers. This practice of welcoming, valuing, empowering and supporting diverse academic and social learning among students of all abilities is called Inclusive education. Inclusive education is more than mainstreaming. Mainstreaming implies that a student from a separate special education class visits the regular classroom for specific, usually non-academic, subjects. Inclusion is an educational process by which all students, including those with disabilities, are educated together for the majority of the school day. With sufficient support, students participate in age-appropriate, general education programs in their neighborhood schools. Have high expectations for your child as a student just as you do at home. Be enthusiastic and encouraging! 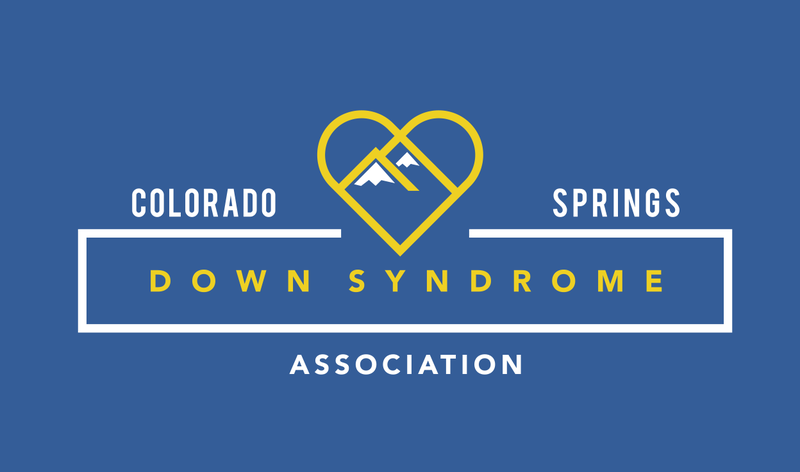 When planning your student’s instructional program, be guided by the his/her individual ability and needs, and not the label of Down syndrome. If your student is highly distractible, seat the him/her away from windows and doors to minimize distractions in the environment. Small group instruction may be more beneficial to your student than whole class instruction. Try to also set aside some time for one-on-one instruction. Model the task and give your student many opportunities to perform it. Break down tasks into smaller sequenced steps. Ask your student to repeat or rephrase instructions. Ask your student specific step-by-step questions to make sure he/she has understood the instructions given. Set aside time for frequent review and practice of tasks. Allow your student adequate response time. Provide consistent positive reinforcement immediately after your student produces a correct response. If your student makes a mistake, do not say “that’s wrong.” Ask him/her to try again, or provide the correct response and require him/her to repeat the correct response immediately. Immediate corrective feedback is more effective than delayed. Give clear signals about the end of one activity and the beginning of the next. Use picture cues or audio cues with young children. For example, use picture symbols representing activities or sing a certain song before a specific activity. Present only a few stimuli or objects at a time. For example, if you are using worksheets, create worksheets that do not have too many pictures or sentences with complicated wording. Highlight or print key words in bold. Use concrete objects/manipulatives along with verbal explanations. For example, while teaching counting use manipulatives that are alike in shape, size and color, so that the student concentrates on counting, rather than being distracted by shapes, etc. Be flexible with attaining educational goals. For example, if your student has difficulty writing with a pencil, teach him/her to write using a computer.